Wainakh 2007, originally uploaded by LotusGem. 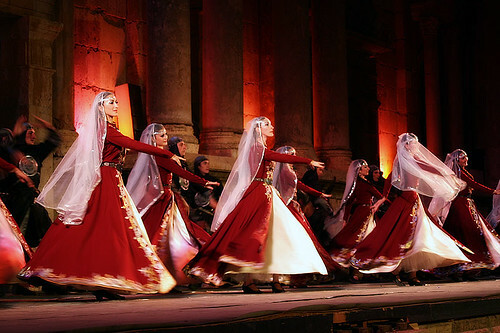 I had the pleasure of attending the Wainakh performance in this years Jerash festival. Needless to say, the theater was packed, and it seemed like Sukhnah, Zarqa and Sweileh has migrated to Jerash. It was great watching the performers do their thing. I think they are some of the best performers in the world. And in a twist of good luck, I had the pleasure of going behind the stage and meet the performers. Enjoy the photos, and visit the full gallery. here today before reading your comment. You know I would've answered it if I had read you comment, just to find out what the penalty would be. Sari in Da House, and he dont like it!